Composite Cap boot styles such are lighter than our Steel Cap boot options. 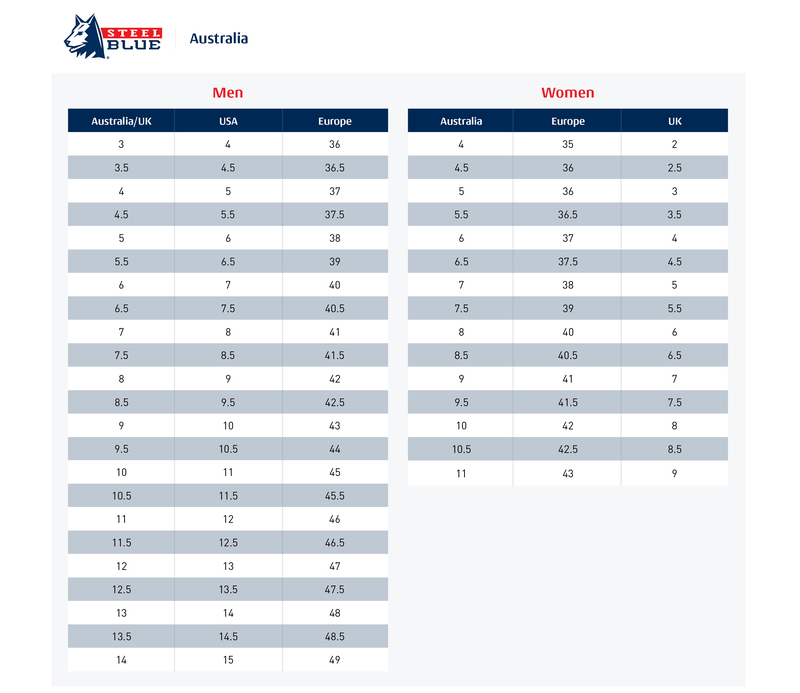 You can check your boot size on a Steel Blue foot-measuring device by visiting a local distributor. We always recommend trying on work boots before purchasing. 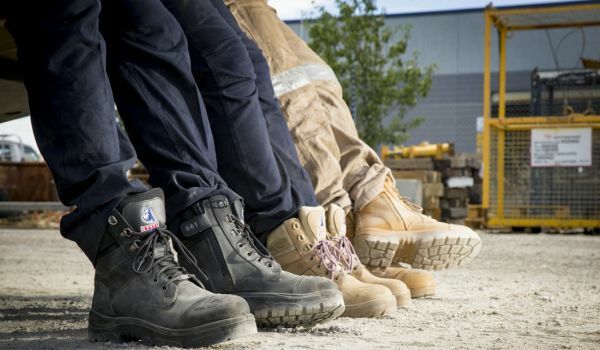 Examine your work boots for external damage prior to and after each use. In the case of cracks, breaks in the leather, exposed Toe Caps, sole wear or other similar damage, we recommend that you replace your work boots.